This book seems to be lurking around every corner since we started Book and Sensibility three years ago. I finally grabbed the ebook and when I put it in the running for book club selection, it ultimately got...selected. I couldn't really get a sense of the story from the first book, so I went to the second and figured what the heck, since I’ve been taking a lot 30 minute bus rides lately. I may as well finish it. 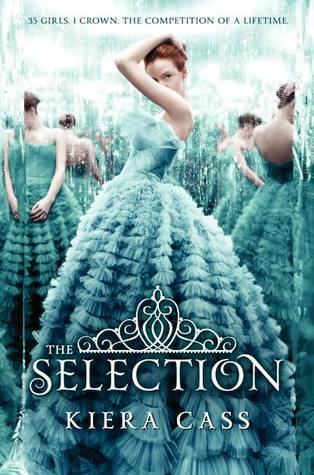 The Selection is set in an alternate universe where the US is now called Illea and citizens are divided into castes numbered 1-8, with One being the highest and Eight being the lowest. As a Five, America's family scrapes to survive as artists. America dreams of marrying her secret lower classSix boyfriend Aspen which will ultimately bring her down a caste. 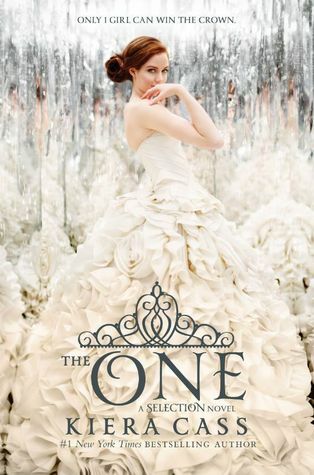 She is content with this future until a series of events lands her in The Selection, a televised competition to choose a common girl to marry the Prince and become a One. 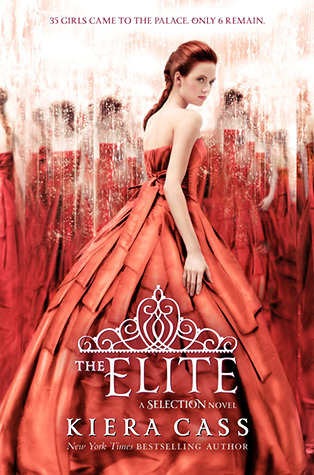 The main pull in the first book is how American navigates palace life and tries to figure out how to deal with the feeling she develops for Prince Maxon as well as feeling for Aspen. There is a dash of political unrest thrown in, but it doesn't serve a plot until the end of the book. 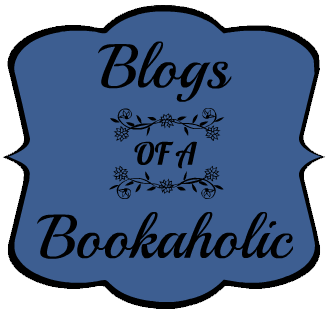 I’m going to have to take this image from the ladies at The Midnight Garden's review of Alienated because I’m a black sheep when it comes to this book series. People seemed to love this series and I was just... okay on everything. The characters didn't stand out for me, the political system felt underdeveloped and I was never fully invested in this world. The books do get progressively better with each installation, some of the critiques I had about world building and the competition get explained in the later books, but it never felt natural.There are some interesting things going on about castes , feminism and monarchies, but I wish it had gone into the political stuff deeper since it ends up playing a big role in the end. This is a series that doesn't seem to know how to be a series. It doesn't have an overarching arc, but it also doesn't have individual plot arcs. Even as I think of the book it's hard for me to remember what happened in which book. Yes, there is the competition but the competition doesn't require much agency from the girls or any of the characters. It’s not until the last book that they even start to do things. My thoughts aside this book is popular and has lived most of its publication on the bestsellers. I think that’s a combination of a pretty cover and the love triangle which I could go both ways on. 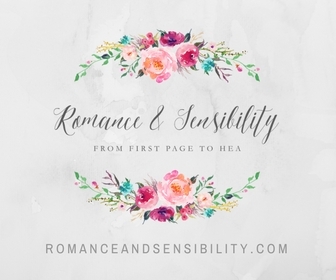 It was recently announced that Cass will be writing two more novellas and two whole new books for The Selection. Which makes me mildly annoyed since I was so proud of myself for committing and finishing a series in only a few weeks. Oh, well ! 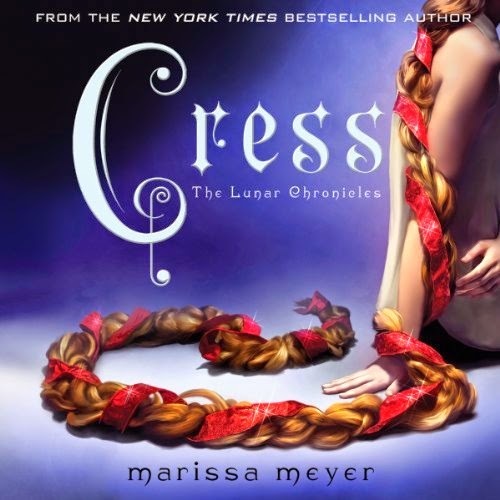 Cress is the third book in Marrisa Meyer's Lunar Chronicles Series. In this book we get introduced to Cress who briefly appeares at the end of Cinder. Cress is a highly imaginative teenage girl who has spent most of her life in isolation aboard a satellite. When the chance comes for her to embark on a real adventure with the crew from the previous novels; her will, smarts and survival skills are put to the test. In a series featuring three (soon to be four) female protagonist, it's amazing just how different each of their voices are. Cress is very much the opposite of Cinder and Scarlet. 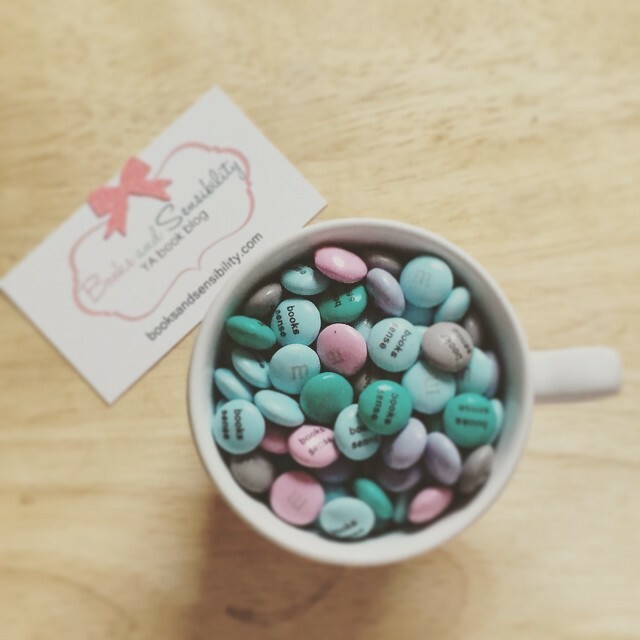 She's a bit more on the whimsical side and isn't quite as brave and fearless as they are. I liked that she was more a vulnerable character. Meyer also rounded out the world in this book, one thing of note is that this book actually cleared up something that is never really addressed in the first two books (or at least I never caught on to) . She explains why there is so much prejudice against cyborgs. As far as the continuity in the story goes , the novel doesn't make a lot of leeway. As a third book there was mostly a lot of filler. However, I enjoyed the characters and audibook narrator Rebbeca Soler's performance so much in this book, that I wanted to see what they were going to do next. An adventure story that spans across the galaxy, this book sets the tone for the fourth book in the Lunar Chronicles, Winter. Audio CD Giveaway Below ! 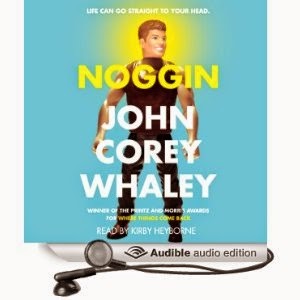 First off, congrats to John Corey Whaley and Noggin for being longlisted for the 2014 National Book Award ! 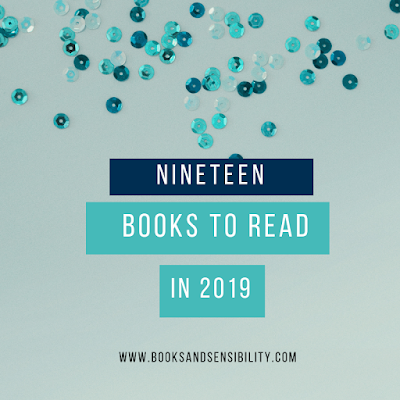 From man eating grasshoppers to Wizard of Oz revisited there were a lot of high concept YAs this year, but of all of them Noggin (and it’s weird cover) caught my attention; A boy whose head is cryogeniclly frozen and then reattached to someone else’s body. I like to think of Noggin as the book with the blue cover about cancer written by a guy named John that you aren't talking about. In Travis Coates’ last days of battling leukemia he and his family decide to participate in an experimental procedures where his head will cut off his dying body, cryogenically frozen and then reattached to a healthy body when the science is right. Travis expects to wake up in the distant future, but when he opens his eyes again, he has the body of Jeremy Pratt and it’s only 5 years later. When I first heard about this book, I had expected it to be science fiction-y in the vein of Unwind by Neil Shusterman, but it’s really not. It’s more of a coming of age story about how Travis learns to live a life where everyone he knows has lived 5 years assuming they'd never see him again. His friends are all 21-years-old, his girlfriend is engaged to someone else and his parents don't know how to react to him. I've read a few books about people dying, but for some reason I found this novel about someone living to be really sad. I’ll admit, nothing much happens in this book plot wise, Whaley has a great concept and characters, but he didn’t seem to know where to take them and the end felt a little tacked on. But, that was fine with me I really like the aimless wandering books. There is a major subplot involving Travis trying to get back with his girlfriend, but I found those parts especially cringe-y. And while Travis seems completely serious about his attempt, I think Whaley realizes how juvenile Travis' attempts are. What really stuck out to about this book is that it’s funny. Humor in books is so weird, I rarely find myself laughing at books like I do with TV and movies, but I was chuckilng out loud a few times. I do think some of that comes from listening to the audiobook. One of the reasons I requested this book from Simon and Schuster is because Kirby Heyborne does the audio book. I think he has the perfect youthful voice for YA and he can really interpret lines that don't have direction. Now, JCW is no newbie to YA fiction his debut, Where Things Come Back won the Printz ( and has been sitting on my TBR shelf since) in 2011 . I am excited to see what he writes next ! Kheun's 2013 debut, Charm and Strange is in the top 5 books I read this year, and when I saw Khuen had a new book coming out this year I had to get my hands on it ! As in Charm and Strange, Complicit introduces us to a loner narrator who is living with an undiagnosed mental issues. 17-year-old Jamie has always been told he should feel fortunate to live with a rich, caring foster family after his mother died when he as a child. While his adjustment was hard at first, he fits into the family quite nicely. But now things are changing because his older sister Cate is back from jail which will set him, his family and his town on edge,. 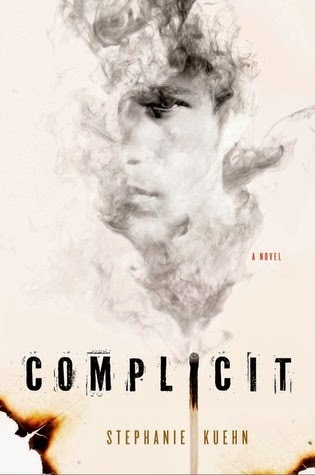 Complicit has similar motifs to Charm & Strange, most noticeably the collision between past and present. The ending of this novel is just insane. I wouldn't call it a twist or anything but Khuen loaded the ending with so much suspense I could not stop once I reached the last few chapters. By creating these unstable first person narrations she takes away the trust in the narrator. They are not only unreliable they are often intentionally leaving things out. While it doesn’ like this like I liked Charm and Strange, I love Khuen’s style, she's one of those authors that once you get to a certain point you’re hooked to the end. She says her next book will be a little aversion from these first two so I’ll sit and wait (not so) patiently.